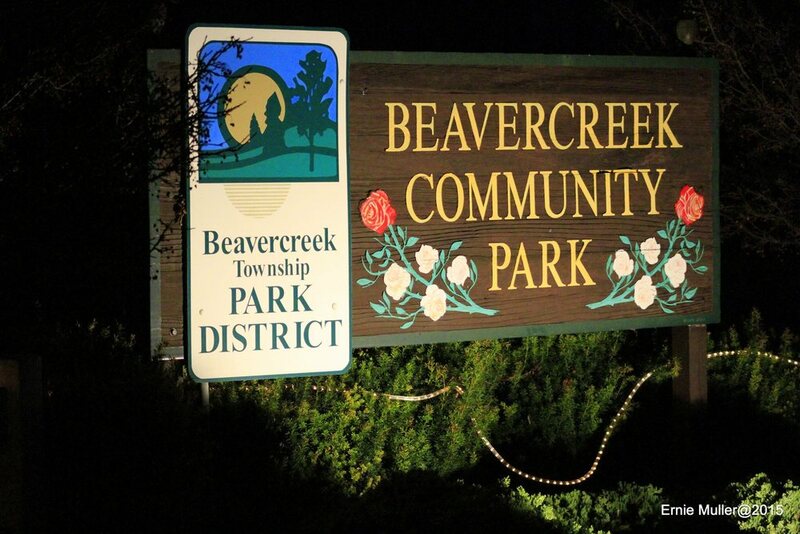 The Beavercreek Township Park District was established in 1969 to serve Beavercreek Township. Shortly after the city of Beavercreek incorporated in 1979, the Park District turned over to the city all the parks it owned in the incorporated area, including Virgallito Park, C.I. Beaver Park, and several others. From that time until present, the Board of Commissioners has focused on supporting the parks within its boundaries, whether in the unincorporated or incorporated areas as well as developing two additional parks it owns. The Board helped kick off the development of Rotary Park in the early 1980s and Lofino Park in the 1990s with significant donations. The Board has also helped support the Narrows Reserve since it lies within the township, is managed by the County, and owned by the State. 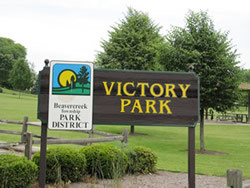 Currently, the Park District is responsible for two parks, Community Park and Victory Park, but in 2018 have hired the City of Beavercreek Parks & Recreations to provide administrative support (facility reservations) and park daily maintenance service. This cost-saving step allowed the District to leverage off the City's operations of 22 other parks without requiring independent staff and equipment for our two parks. In 1997, the Board acquired 14 acres of land from Keast Excavating along Factory Road and started developing Community Park. An important focal point of the park is Angels’ Pass Memorial. This memorial was constructed with private and public funds and dedicated in 1999. It commemorated the 40th anniversary of the deaths of 8 Girl Scouts and their 2 leaders killed near that site in a car-train collision. It is a beautiful and serene area with benches, trees, flowers, flag poles and a large memorial stone. The scouts and leaders as well as rescue and public safety departments are honored on this stone. With additional funds from the Beavercreek Township Trustees, a large parking lot was built to accommodate about 50 cars. There is a gazebo and a small bridge at the front of the park. The Girl Scouts use the bridge for their bridging ceremonies. As a community service, the Girl Scouts are in charge of planting flowers and weeding the circle around the Memorial. They also plan and deliver the annual Holiday in the Park for the community in December. 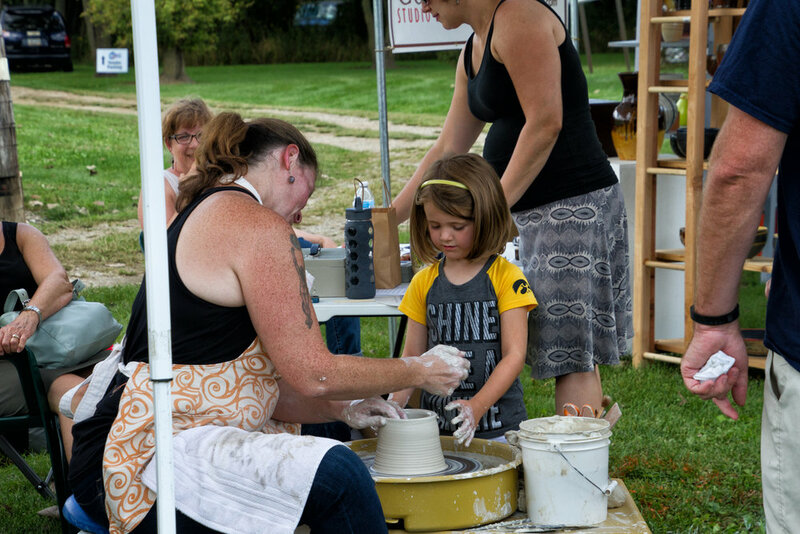 The park lies adjacent to the Creekside Trail, and serves as a very popular starting point for local residents. In recent years, Community Park has been improved with a pond that includes a walking trail with benches and street lights, all built with money secured from another Natureworks grant and local government funds. A trail connector through the park to the Dayton-Xenia Road bike path was completed in 2007. A comfort station funded by the Beavercreek Township Trustees, was constructed in 2004. In 2009, the Board led the effort to secure a corridor through County-owned land to be used as a bike trail connector between Hunter’s Ridge Park in the city and Rotary Park in the Township. The Board worked closely with the city, township and Greene County Sanitary Engineer to make this effort a success. Once the corridor was in place, the city and township jointly submitted a successful major grant request to complete the trail from Hunter’s Ridge Park through Rotary Park to Dayton-Xenia Road. Construction started in July 2012 and was completed in Spring 2013. This trail is heavily used by the Hunter’s Ridge and Hunter’s Pointe neighborhoods and is also used by the High School and Middle School’s Cross country teams for practice. Fishing at the pond in Community Park is free, however we apply a "catch and release" policy. We ask fishermen to clean up they finish fishing to keep the park green and appealing for others.